Mrs. Madeline J. Rush, 91, of Bentonville, AR went to be with the Lord on March 25, 2019 in Cary, North Carolina. She was born November 4, 1927 in Hugo, Colorado, the daughter of Norman Eugene and Josephine Agnes Mitchell Mosher. Madeline was a graduate and valedictorian of Vaughn High School in 1944; she then obtained a degree from Draughon Business College in Springfield, Missouri. Madeline was a member of First Baptist Church in Bentonville. 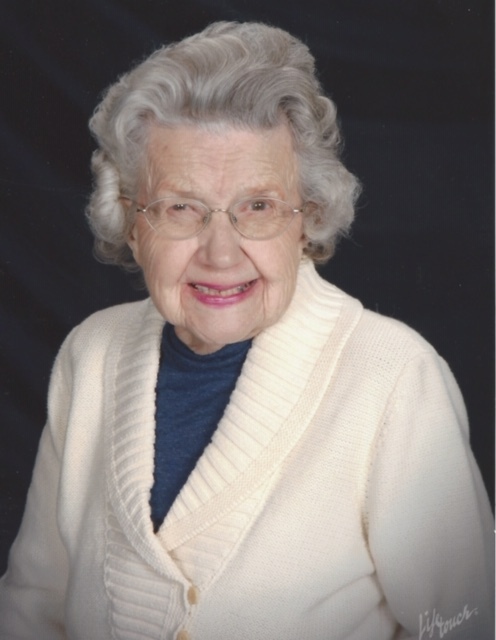 During her life, she worked as a bookkeeper and strived to serve the Lord in all ways. She was a devout wife and loving mother to her family and loved to work in the garden or on the farm. She was preceded in death by her parents; her husband, Wayne; son, James; and three siblings, Lynn, Marjorie and Larry. Madeline is survived by her son, Delbert “Del” Rush and wife, Shawnna of Cary, NC; two grandchildren, Sydney Rush and Samantha “Sammie” Rush both of Cary; two sisters, Elaine Peterson and husband, James of Spotsylvania, VA and Virginia Pippitt of Phoenix, AZ; three brothers-in-law, Riley Rush and wife, Patsy of The Colony, TX, Donald Gene Rush and wife, Margaret of Dennison, TX, Harold Weldon Rush of Bella Vista; three sisters-in-law, Laura Juanell Rush Murphy of Bentonville, Shirley Rush of Bentonville, Dottie Mosher of London, AR; and many loving nieces, nephews, cousins and friends. Funeral Services will be held at 10:30AM, Monday, April 1, 2019 at First Baptist Church in Bentonville with Pastor Phillip Smith officiating. Visitation will be held at 9:30AM, until service time. Madeline will be laid to rest at Benton County Memorial Park next to her husband, Wayne.